Ready to Explore Downtown Las Vegas in Style? 26 Oct Ready to Explore Downtown Las Vegas in Style? Looking for something fun to do this weekend with your friends? 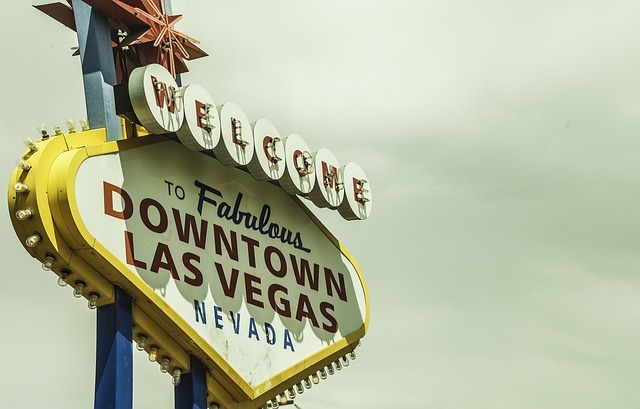 Whether you’re a Las Vegas local or just visiting for the weekend, you’ll get a one-of-a-kind experience of Downtown Las Vegas through a bar crawl with Vegas Pub Crawler. Our 15-person cycle and our new 20-person cycle will make sure no one gets left out of the fun. Your tour will begin at Downtown Grand. If your party arrives early, you can all enjoy happy hour prices at the bar inside before taking off on the tour. Inside the casino, you get the chance to warm up and gather together as a group all in one place. Once everyone is settled, you’ll head out on your customized tour through the streets of Downtown Las Vegas. However, this is only a small selection of the many bars and pubs in the area you can choose from. With Vegas Pub Crawler, you’ll not only be able to experience the many pubs in the area but also enjoy some handcrafted cocktails at a great price. No matter the time of your tour, you can enjoy each drink at happy hour prices. With these great prices, your party can try out as many signature drinks as you like without breaking the bank. Tour Downtown Las Vegas the right way! Gather up your friends for a Vegas Pub Crawl this weekend.